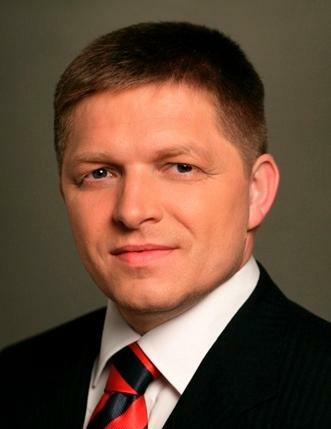 [JURIST] Slovakia Prime Minister Robert Fico said Sunday that his country plans to file a lawsuit by December 18 challenging the EU’s plan to distribute 120,000 refugees to each of its member states. Along with Slovakia, Czech Republic, Hungary and Romania also opposed the new measure, but the four were outvoted by the other member states. Slovakia stated they had no power to keep immigrants in their state if they chose to move on to richer EU states. Under the scheme Slovakia is set to receive 802 refugees after only receiving 187 asylum requests this year. The prime minister stated [Reuters report] that he is not worried about the quota because it is not technically enforceable. The rights of migrant populations has emerged as one of the most significant humanitarian issue around the world, as millions seek asylum from conflict nations. Last week UN Secretary-General Ban Ki-moon addressed [JURIST report] the UN General Assembly and cautioned the international community to avoid discrimination against Muslims, especially refugees and migrants entering Europe, as a result of the recent terrorist attacks in Paris a week earlier. Earlier this month Amnesty International analyzed [JURIST report] the EU’s approach to the refugee crisis and recommends changes to ensure international law is followed and human rights are appropriately valued. In October Human Rights Watch [advocacy website] called on [JURIST report] the EU and Western Balkans states to focus on remedying what it characterized as deplorable conditions for asylum-seekers in Europe. The UN High Commissioner for Human Rights gave the opening statement [JURIST report] at the 30th session of the Human Rights Council in September in which he addressed, among other pressing human rights issues, the migrant crisis. Germany announced [JURIST report] that month that it was invoking temporary border controls at the nation’s southern border with Austria, after thousands of immigrants entered the country.